In this, the second of Tom Sharpe's chronicles about Henry Wilt, our hero is no longer the victim of his own uncontrolled fantasies. As Head of a reconstituted Liberal Studies Department he has assumed power without authority at the Fenland College of Arts & Technology and the fantasies he now confronts are those of political bigots and reactionary bureaucrats- in addition to his wife's enthusiasm for every Organic Alternative under the compost heap and the insistence of his quadruplets on looking at every problem with an unflinching lack of sentimentality. Wilt's problems are compounded by nature in the shape of a rose bush, nostalgia, temporary infatuation with a foreign student and the hostility of medical services unwilling to attend to his most urgent needs. But it is only when Wilt becomes the unintentional participant in a terrorist siege that he is forced to find an answer to the problems of power, which have corrupted greater men than he. With a mental ingenuity born of his innate cowardice, Wilt fights for those liberal values which are threatened both by international terrorism and by the sophisticated methods of police anti- terrorist agents. In the confusion that follows, Wilt resumes his dialogue with the unflagging Inspector Flint and is himself subjected to the indignity of a psycho- political profile. Bitingly funny and brilliantly written, THE WILT ALTERNATIVE exposes the farcical anomalies, which have become the social norms of our time. Tom Sharpe was born in 1928 and educated at Lancing College and Pembroke College, Cambridge. He did his national service in the Marines before moving to South Africa in 1951, where he did social work before teaching in Natal. He had a photographic studio in Pietermaritzburg from 1957 until 1961, and from 1963 to 1972 he was a lecturer in History at the Cambridge College of Arts and Technology. He is the author of sixteen bestselling novels, including Porterhouse Blue and Blott On The Landscape, which were serialised on television, and Wilt, which was made into a film. In 1986 he was awarded the XXIIIème Grand Prix de l'Humour Noir Xavier Forneret, and in 2010 he was awarded the inaugural BBK La Risa de Bilbao Prize. 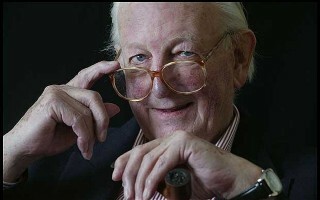 Tom Sharpe died in June 2013 at his home in northern Spain. Tom Sharpe was an English satirical author, born in London and educated at Lancing College and at Pembroke College, Cambridge. After National Service with the Royal Marines he moved to South Africa in 1951, doing social work and teaching in Natal, until deported in 1961. His work in South Africa inspired the novels Riotous Assembly and Indecent Exposure. From 1963 until 1972 he was a History lecturer at the Cambridge College of Arts and Technology, which inspired his "Wilt" series Wilt, The Wilt Alternative, Wilt on High and Wilt in Nowhere. He died in 2013 from complications of diabetes.